Sales training is essential to creating successful sales teams, but how do you effectively enable an entire sales team, and do it in just a few short weeks? And at the end of a quarter? The ServiceMax sales teams were divided up by discipline (reps, pre-sales, and insides sales) and each person on the team was required to create and record an original sales pitch that was uploaded to SalesHood for scoring. Teams were placed in a March Madness style bracket, encouraging interdisciplinary competition. For the sake of crowdsourcing, we enforced one certification per discipline, allowing team members to rate each other through comments and feedback. Cash prizes were awarded to the winner of each round. Without buy-in from sales leadership, a program like the Whiteboard Challenge simply would not won’t work. Sales enablement built leadership involvement when architecting the program, in a limited and less intrusive way. This was an important objective, from a sales coaching perspective, and the key win for the sales enablement team. Each sales manager was involved in selecting their regional team winner, each regional VP was responsible for selecting their members to move on to the Final Four. Finally, the global VPs for each discipline were tasked to select the first and second place winner. This ensured that leadership was involved at the appropriate levels yet limited to not be too intrusive. This brought important engagement with leadership and the SalesHood platform, which was purposely built into the program and was a key win for the sales enablement team. There needs to be an enablement win, and it has to involve everyone. Sales managers selected first-round winners to advance to the Final Four. The Final Four were judged by regional directors, further involving upper management in the challenge. Global VPs then judged the championship round. The incremental leadership involvement ensured total leadership buy-in and participation at every level. During the initial introduction of the Whiteboard Challenge, we clearly outlined the task: no more than three main messages per pitch. We made sure to emphasize the need for creativity. Each team member had to make a unique pitch that creatively fit within the company-wide theme of the sales kick off. All pitch requirements were placed on a scorecard within SalesHood, and the scorecard was shared with each level of management. Using a scorecard ensured that each pitch was evaluated not only for strong content, but also for a confident opening, successfully tying in the theme, and originality. A Creativity element was introduced to give the sales leaders a way to differentiate between similar pitches became a requirement, and it proved to be a driving factor in getting teams excited about the challenge. Cash prizes were awarded at all levels of the competition to keep it fun and intriguing. The final two presentations were evaluated by ServiceMax’s global VPs, and the winning team member and runner-up was chosen and awarded their its cash prize. After the challenge had completed, two regional VPs approached me, hoping to do the exact same challenge – this time with PowerPoint. And while slides on a screen aren’t my favorite style of pitch, it was clear that the Whiteboard Challenge had been a success. It had motivated teams, encouraged creativity, and promoted solid sales coaching, all while driving home the ServiceMax messaging. It was an all-around slam dunk! 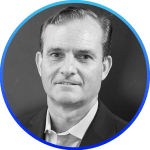 Bob Kruzner is a 20+ year sales, operations, and enablement professional. His passion is to help sales individuals and leaders be successful through solid coaching and training that comes from personal experience and my own passion to win! Based on my experience leading Sales Productivity at Salesforce, accelerating revenue from $300M to $3B, we’ve packaged our proven methodology into SalesHood, helping client after client achieve record breaking revenue growth.